oh my gosh Sharon. Love you so much…………………….. Incredible!!! Love you Sharon!!! My family and I will join you on April 2 wearing blue and we will light our house up!!! What an amazing son you have!! TO DOING AS HE WANTED YOU TO DO. I AM SO PROUD OF YOU AND YOUR FAMILY. KEEP IT UP KID. !!!!!!!!! Thank you every one! Your words and support mean the world to me. Now go to Home Depot and buy your Blue Light Bulbs. They have a huge display there and money from them goes to Autism Awareness! Wow, this brought tears to my eyes and reminds me a bit of how I felt when we lived in VA (my son’s second-grade teacher and the principal always gave me the impression they really didn’t want to deal with kids like my son but they never said anything so specific). The term disability is a bit tricky when it comes to Asperger’s because the term brings to mind a physical or mental/intellectual impairment and Asperger’s is defined as a developmental disorder with no delays in speech or cognitive functions. 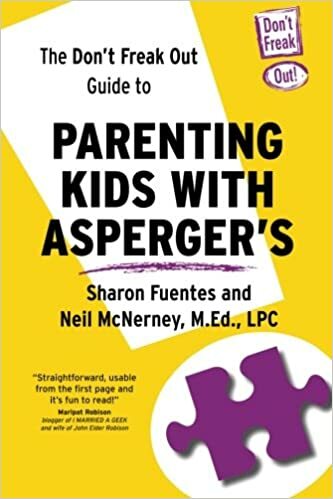 However, if left untreated some symptoms of Asperger’s such as poor social skills and communication difficulties can interfere with learning, which is what happened to my son prior to diagnosis. I am personally okay that Asperger’s is considered a disability in my state as the “label” has granted him an IEP under IDEA and his medical services are covered by our insurance as well as by other state programs, but labels can be very destructive and harmful. They take away one’s dignity and humanity, and they create dangerous stereotypes. As parents of kids with an ASD, we can try to educate those who use such labels in a manner that is negative and damaging to our children. I totally get that for medical/insurance purposes yes it needs to be classified as a disability, but unfortunately people do stereotype or judge when you refer to them as that. It is not that I have not come to terms with Jay’s condition on the contrary I have. I just think we need to educate people better about Autism as a whole. So instead of calling autism a Disability I think we should say DIFFERENT ABILITY! But that is just my opinion! Absolutely, emphasis should be placed on the advantages and not just the disadvantages of autism (when I first described Asperger’s to my son a couple of years ago I made the huge mistake of listing all of the disorder’s symptoms and did not provide any positive aspects, but I now point out the positives to him whenever I can so as to improve his self-esteem). Promoting awareness is one of the best ways to improve the public’s perception of people with autism! It still boggles my mind that your former boss said that to you. I know you won’t say the type of postsecondary school, but if it’s one of those technical schools/institutes, well one might think they would want to more than open their arms to Aspies since many are very computer savvy and technically inclined! Sharon, the new book by John Elder Robison (Be Different: Adventures of a Free-Range Aspergian with Practical Advice for Aspergians, Misfits, Families & Teachers) was released today. According to the review I saw, his book focuses on Asperger’s syndrome as a positive difference and not a disability. Ohhh… thanks. I will have to get it. Kristin I found the book ayou were talking about and listened to the preview. It sounds FABULOUS and I cannot wait to get it and read it! If you have not seen this link… I highly recommend you do. Mr. Robinson reads it himself!